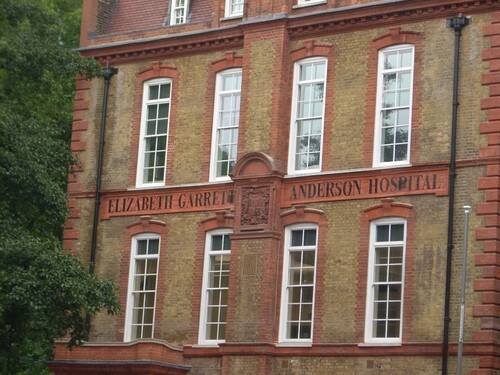 The remaining part of the Elizabeth Garrett Anderson Hospital's original buildings in London (144 Euston Road) has been recently restored (2011) by UNISON and will soon host a 'Elizabeth Garrett Anderson Gallery" about the life and works of the pioneer British woman doctor. 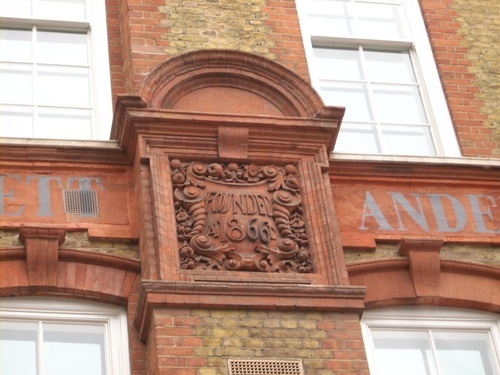 The "1866 foundation year" medallion on the building facade makes reference to the first Dispensary for Women and Children opened that year by Elizabeth Garrett Anderson at 69 Seymour Place1, as a fresh Licentiate of the Society of Apothecaries of London. Back to Britain after receiving her M.D. degree in Paris, in 1870, Elizabeth decided to start a hospital. 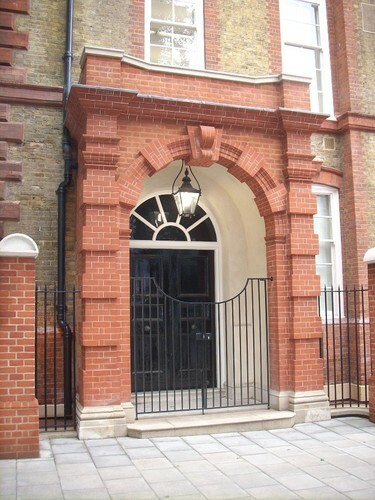 The first provisional site of the "New Hospital for Women" was in a small, dark house in Seymour Place (from 1871 to 1874)2; the second one was - from 1874 to 1890 - in two unpretentious houses in 222-224 Marylebone Road (from 1874 to 1890)3. 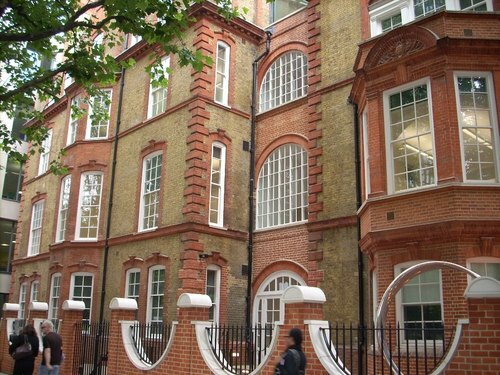 In 1888, when the lease of the houses in Marylebone Road was running out, the management committee of the Hospital "decide to buy a site and build a hospital of forty beds, nearer the London School of Medicine for Women. 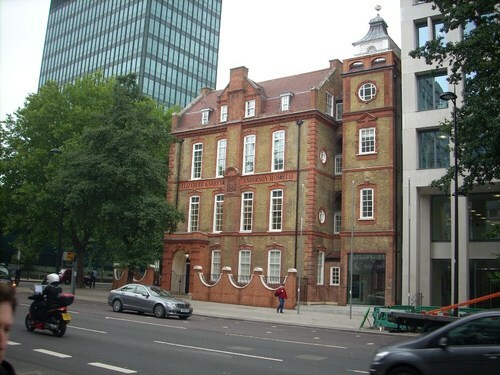 Before the year was out, they had bought a twenty-years' lease of 144 Euston Road for Ƚ 3,000"4. "By 7 May 1889 the site had been cleared for the Princess of Wales to lay the foundation stone of the new hospital"5. "By 25 March 1890 the hospital was ready for the patients to move in. When the time came to leave the 'Old New', the committee wished to change its name to The Elizabeth Garrett Anderson Hospital but its founder would have none of this. The change of the name they desired had to wait until after her death"6. "By the middle of May 1890 the forty-two beds of the new hospital were filled with patients"7. The Hospital continued to serve women’s health until its closure in the 1980’s when its services were transferred to University College Hospital. 1. See Manton 1965, p. 173. 2. See Manton 1965, p. 226. 4. Manton 1965, p. 286. 5. Manton 1965, p. 288.